The wonderful Undina and I swapped some samples a while back and I am slowly making my way through each and every one. It’s been a real treat. Today’s sampling was a very nice surprise! 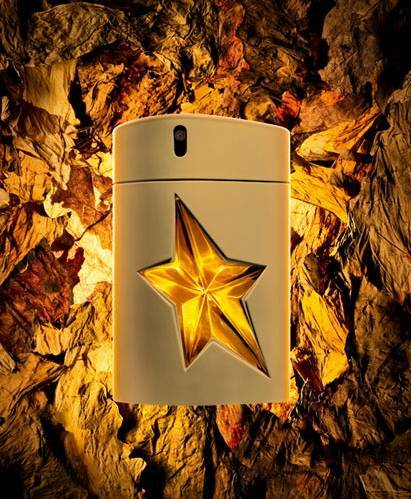 WHAT I SMELL: A*Men Pure Havane opens with a wonderful sweet tobacco ladened honey. It’s warm and delicious and oh so edible; you just want to lick it off of your skin. This could easily have gone over the top, but it doesn’t as the labdanum and amber mixed with the vanilla and cocoa leaves this scent grounded. It’s so full bodied, gourmand and wonderfully unique and bold. Once this scent takes off, it remains in this state of sweetened warmth. You just can’t help but to continually sniff your wrist while wearing this. Thankfully A*Men Pure Havane also has wonderful sillage and longevity. Goody! 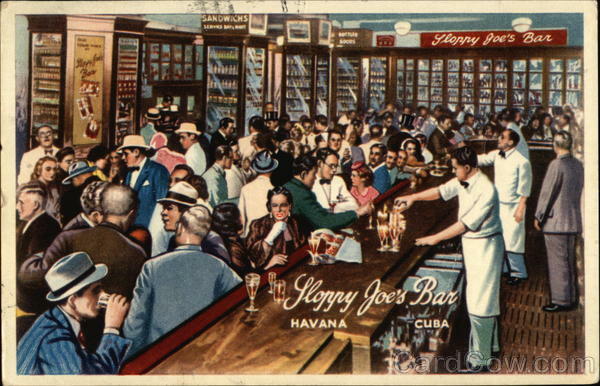 WHAT IT SMELLS LIKE TO ME: Cuba 1955. I can picture a open aired bar with rotating celing fans to drive away the heat, a Mojito, a white suit, and a large cigar. BOTTOM LINE: This flanker is a limited edition, but can still be purchased on the Thierry Mugler website for a very reasonable $88 for 100ml bottle. I may just be doing that. Although I keep reading that this is similar to Tom Ford’s Tobacco Vanille so you might just see me at Nordstrom’s checking that out this weekend. However, I don’t think I can get Tom Ford for $88! Thanks Undina, I am loving this! Categories: Thierry Mugler | Tags: 4 bones, A*Men Pure Havane, EDT, fragrance, masculine, review, Thierry Mugler | Permalink. :O I didn’t mean it like that. Just pulling your chain my dear F! And actually this wasn’t too sweet at all for me, cause it’s grounded by the amber. It sounds like a great one to me. I’m not a fan of sweet, but this has enough controlled sweet in it to make it different to me. Definitely not for every day, but I’m heading to the beach on vacation next week and this would be perfect for evenings on the town. Yes it sounds Great for nightime beachwear! Another great review! Thanks for sharing. I never really cared about Muglers, especially those limited editions which are not distributed in Poland at all. This is the first time I have tried one. I know they are advertising the release of another A*Men flanker that is to be released next week which is a leather scent. I’ll skip that though, I could see how that could be way over the top for me, especially since I don’t care for leathers. I don’t care for leather (but I like some suede) either, co Pure Cuir isn’t of my interest. It’s Saturday, always a good day! BTW, your package is going in the mail today! Yea! How cool! Thanks so much! I’m looking forward to it. Hope it travels well. I love most Mugler’s and this one sounds wonderful. I haven’t sniffed this one yet. Don’t you hate it when the ones you like are limited editions though? No… actually I think it’s very smart, because people like me will run out and buy them to ensure that I have it before it disappears. I admit, I am a marketers dream. I have no willpower. I wouldn’t mind wearing this myself. It is delicous! But I can’t get it here anymore. My man was not so enhusiastic about it when I asked him to try this. LOL. Of course if you like it he won’t. You forgot the Panama hat! How would you compare this to Spicebomb? I have Spicebomb and love it, although not enough to wear it everyday…it is probably the most masculine perfume in my collection. Earlier this year, I went to Cuba on a “People to People” (type of license) trip and would love to go back. The open-air bars, rotating ceiling fans and mojitos are still to be seen but the days of the white suit and big fat cigars are long over :-). While there, I had an opportunity to go to a tobacco farm and also got to smell freshly rolled premium cigars. If this perfume is anything like it, sign me up! I knew I was forgetting something. I only took a quick whiff of Spicebomb at Nordstroms and thought it was pretty sweet (and of course spicy). Pure Havane is completely different. Very gourmand in my book where I don’t believe Spicebomb would be. Of course, now you are making me wonder if I need to check out Spicebomb again since I barely sniffed it! Lucky you to go to Cuba. I would love to be able to go. I keep picturing that it still looks like 1962! Kay – I’m not a huge fan of gourmands, but this really works!